Saint-Alexis-des-Monts is the paradise for nature lovers and fishing enthusiasts. In the heart of the village, you will find a lake in which you can fish for free in summer as well as in winter. You are sure to go back home with a catch since the municipality is considered as the capital of brook trout! 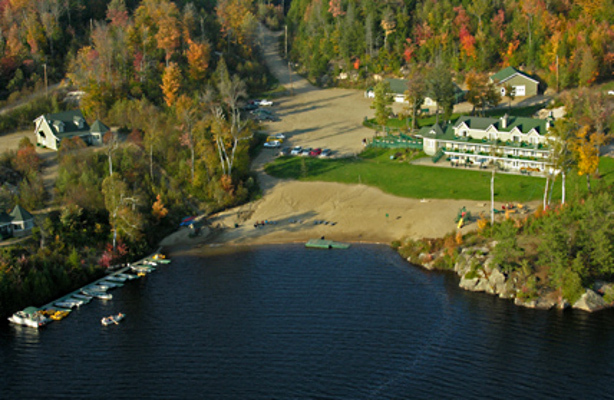 Saint-Alexis-des-Monts has more than 600 lakes in which you can do all kinds of water sports, as well as numerous outfitters and comfortable hotels that will make your stay more pleasant. With a luxuriant forest, ATV, horseback riding, mountain biking and sport activities enthusiasts can do their favourite leisure sport along several kilometres of designated paths.